Pizza's first cousin, the calzone, is essentially an inside out, folded over pizza. Named for the style of baggy pant leg worn by 18th century Neapolitan gentlemen, the calzone has long been considered a classic form of pizza. Wearing its crust on the outside and harboring a luscious filling on the inside, the calzone is a treat for crust lovers. There's nothing quite like cutting into the crisp, golden brown crust of a perfectly baked calzone and experiencing that first whiff of steamy goodness, while the rich molten filling oozes out. On the other hand, diving into a pale, soggy, undercooked calzone with a filling that is still cold at the center has nothing poetic about it. All too often, most calzones are not well thought out both in the filling and the production departments. Calzones can be great for leftover bits of ingredients. In terms of calzones, less is truly more. Simple combinations really do work best. 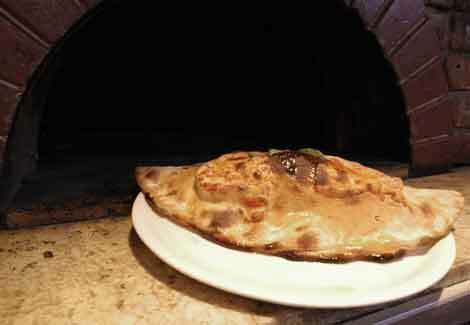 The other necessity for a truly fabulous calzone is an evenly hot oven. Calzones take longer to cook than pizza and require a lower temperature in order to crisp the crust and to penetrate the filling. The beauty of calzones is that they can be produced in nearly any oven. The problem with calzones is that they take time to bake and can take up valuable oven space. 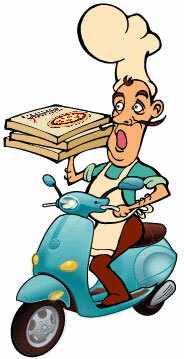 Many operators prepare individual ones ahead of time and reheat them for the service time crunch. 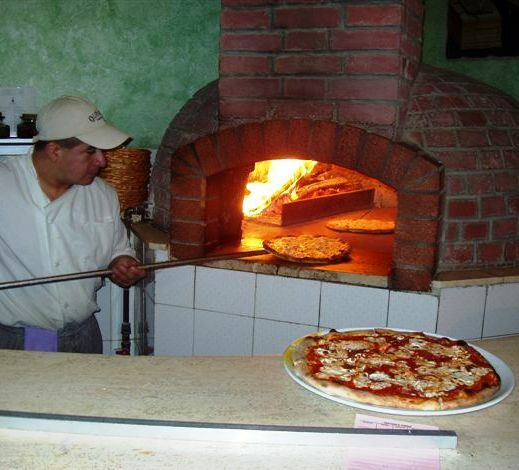 Other traditional, old-time pizza joints that bake theirs to order usually have a 30-minute cooking time. Some operators simply don't offer calzones during mealtime rushes because they take too much time to produce and to bake. Experience shows that when it comes to calzone production, small is beautiful. Large calzones are difficult to handle, they can leak in the oven and often burn on the outside before the filling is cooked inside. Smaller 8- to 12-inch calzones work best in any type of oven. 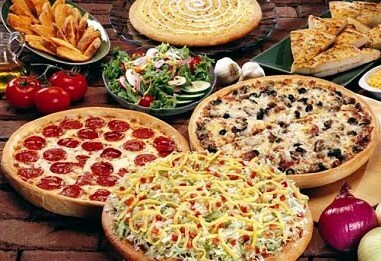 They generally take about 15 to 20 minutes to cook at 400 F and don't take that much longer to put together than a pizza. Most calzones are made in the traditional half-moon shape that is achieved by rolling or pressing out the dough ball into a circle. The filling is mounded into the bottom half of the circle and the top part is folded over and crimped by hand or with a fork. Try not to roll or sheet the dough out less than one quarter of an inch thick and make sure the dough is even -- thin spots can lead to messy oven leaks. To seal the edges of the calzone, use the tines of a fork or crimp the edges together as you would for a pie crust and trim any excess dough off with a pizza cutter. Some operators like to brush the tops of their calzones with an egg white wash to make them shiny, while other operators prefer to brush lightly with olive oil before baking. Olive oil promotes browning and crispiness. When the calzone comes out of the oven, the top should be lightly brushed with olive oil again. This will add sheen and flavor to the crust. Ricotta is the most traditional and popular base filling for calzones. Thick, creamy ricotta that contains less moisture works best. When working with softer, wetter ricotta, try making a calzone base to which eggs are added. Not only will the filling taste better, but it will not ooze out and won't make the calzone as soggy. The best formula calls for one whole egg per quart of ricotta. Additional seasonings like Parmesan cheese, parsley, salt and pepper make a wonderful calzone base, which can also double as a pasta and lasagna filling. If using mozzarella or provolone, shredded or diced works best in fillings. Grated cheeses such as Parmesan and Romano help create a depth of flavor to your calzone cheese base blend. Par-cooked fillings work best, because it generally takes too much time for heat to penetrate and cook them from the raw state. Meat fillings like sausage, bacon, chicken or ground beef should all be cooked through before using in a filling. Larger items like meatballs and sausage should be broken up, ham should be sliced thin, chicken works best diced, and pepperoni and salami work fine sliced. Vegetables should also be pre-cooked and cut into smaller pieces. If you want to add sauce to the filling, keep it to a minimum. Roll out a small dough ball (about 8 ounces) into a round of one quarter inch thickness. Place a small handful of mozzarella on the lower half and about three quarters of a cup of filling, or combination of filling. For three fillings, use 1/4 cup each. Mound 1/2 to 1 cup of ricotta over all. Season with salt, pepper and a pinch of Parmesan cheese (unless those seasonings are already present in your ricotta base). Fold the top half of the dough over the bottom and crimp the edges together. Carefully shift the calzone onto a peel and lightly brush the top with olive oil. Allow to bake in a 400 F oven (at least 15 minutes) until golden brown. Remove the calzone from the oven, lightly brush with some more olive oil, sprinkle with grated Parmesan and serve with a side of warm marinara sauce.